Intro, WANT MY OWN (ANTHONY RECORDS), MORE LIFE (DIGITAL VIBEZ ENT), CAN&apos;T HOLD ME DOWN (JUGGLAZ MUSIC), RISE UP (UPSETTA RECORDS) and more. 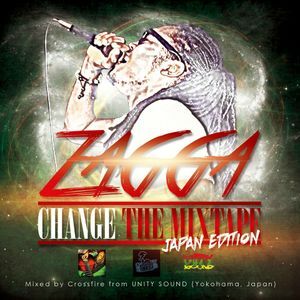 ZAGGA & Unity Sound presents the "Change" mixtape Japan Edition!! !